There are many benefits to owning a luxury car, but one of the most difficult things to do is have new keys made. Thankfully, Door N Key Locksmith is here to offer you a huge variety of different locksmith services for your Jaguar. 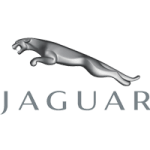 These vehicles use specialty keys that are often only available by going directly to the dealership, but because we want to serve all of our customers as best we can, we’ve trained our locksmiths to handle making new Jaguar keys for our customers. The best part is the fact that we can make the keys quicker and for a lower price than the dealership. We also have extremely quick response times, and we’re available 24 hours a day, 7 days a week – including holidays. This means that you always have a specialist available to come to you no matter what time of day it is. Because we’re completely mobile, all you have to do is call us and we’ll be on our way. The next time you lose your Jaguar keys or lock them in your car, just pick up your phone and call the experts. We’ll replace your transponder keys, ignition keys, or even set you up with a new key fob.